The GTx108-F/An is EBTRON’s solution for accurate and repeatable airflow measurement in fan arrays. 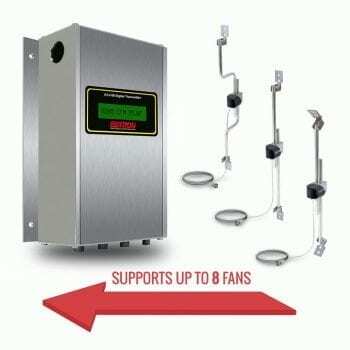 One to eight fans are supported. Airflow, temperature and/or airflow alarming are available on all models. Individual fan airflow rates and fan alarming are available with combination analog output/network models. Does not affect fan performance. Bluetooth low energy technology interface.